I’ve spoken at length about the future of autonomous vehicles and when we can expect to see them in our driveways and on our ride shares. There are many challenges that must be met on our way to full autonomy but, luckily, there are startups willing to meet these tough challenges with creative, disruptive solutions. That’s why I am excited to announce the addition of Blackmore Sensors & Analytics to the Toyota AI Ventures portfolio. This Montana-based company is a leading developer of compact LiDAR sensors and analytic tools that is revolutionizing the way autonomous vehicles “see” their surroundings by leveraging Frequency-Modulated, Continuous-Wave (FMCW) technology to support the simultaneous measurement of both range and velocity. The “seeing” is part of the perception layer in the perception-prediction-planning stack that I’ve also discussed recently. Key to perceiving an autonomous machine’s environment, whether car or robot, is the sensors that feed the perception intelligence. Often, those sensors are cameras, radar, and LiDAR — which stands for Light Detection and Ranging. Similar to how sonar uses sound waves and radar uses radio waves, LiDAR uses laser-emitted-light to perceive objects. Most LiDAR systems use time-of-flight amplitude modulation — lasers shoot pulses of light and then time how long each pulse takes to return, like a bionic bat. What makes Blackmore LiDARs so special is that they use frequency modulation (the FM in FMCW), which support the measurement of velocity, in addition to the range measurement provided by time-of-flight LiDARs. The difference between amplitude and frequency modulation is similar to the difference between AM and FM radio. AM radio relies on the sensitivity of the receiver, which makes it susceptible to interference, producing a lot more static noise. FM radio does not rely on the receiver sensitivity, thus sounding much clearer. For FMCW LiDAR, FM means more accurate distance measurements. It’s essential that cars have “eyes” that aren’t confused by sunlight, can differentiate between a fire hydrant and a toddler on a sidewalk, and can see far down a freeway. Blackmore’s FM systems are less likely to suffer interference from other LiDAR sensors (and the sun). 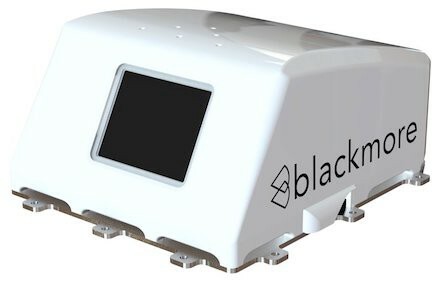 Blackmore is an early leader in delivering commercial FMCW LiDAR sensors to the automotive industry, and the implications of its technology are game-changing. It supports both range and velocity, reduces interference, and can see more accurately into the distance to make autonomous driving safer. We are thrilled to welcome Blackmore to the Toyota AI Ventures portfolio, and to be part of the company’s series B financing along with BMW i Ventures, Millennium Technology Value Partners, and Next Frontier Capital. If you’re interested in learning more about the company and their technology, be sure to check out Blackmore’s website.